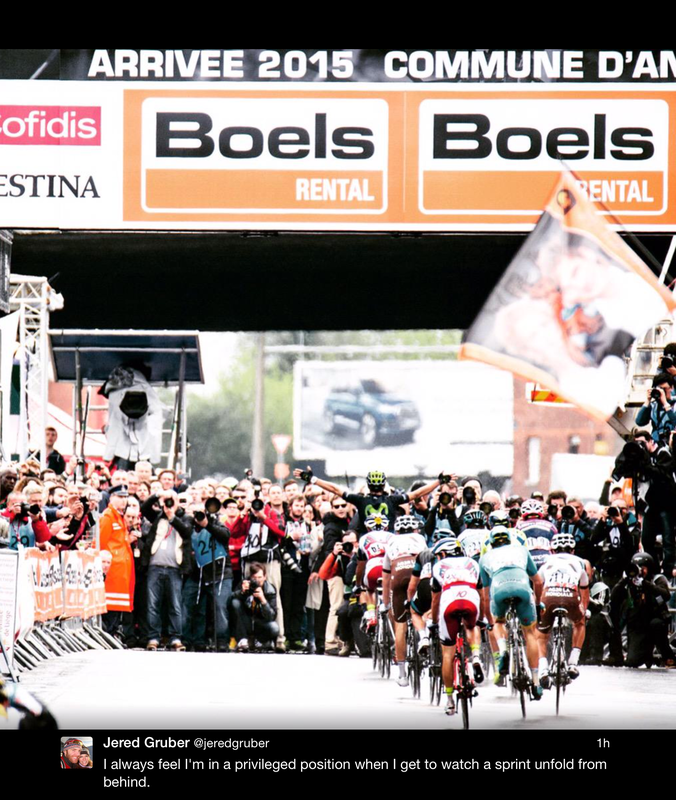 The spring classics are over – Ardennes week has come and gone – and it’s now time for the summer of stage races and grand tours. 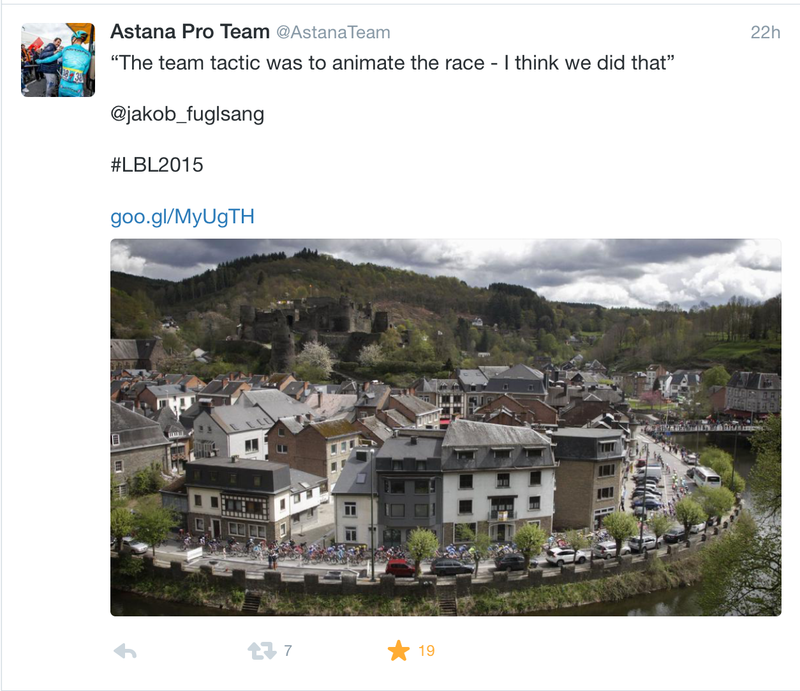 But before we get into that, let’s tie up the meaningful tweets from Fleche Wallonne and Liege-Bastogne-Liege. 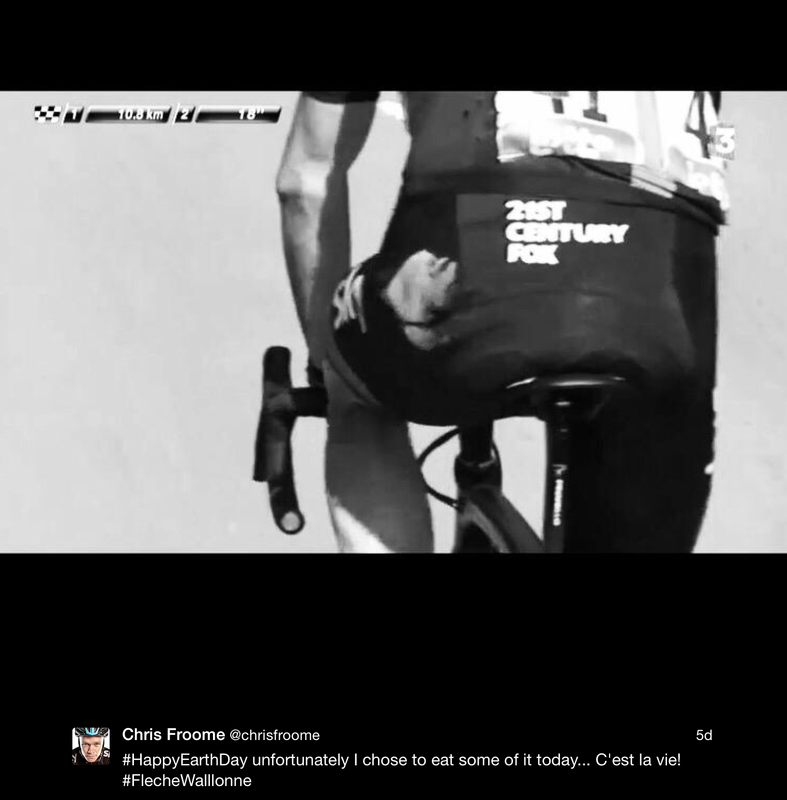 On Wednesday, a one-day classic and a grand tour collided – and it took the fabric right off Chris Froome‘s shorts. 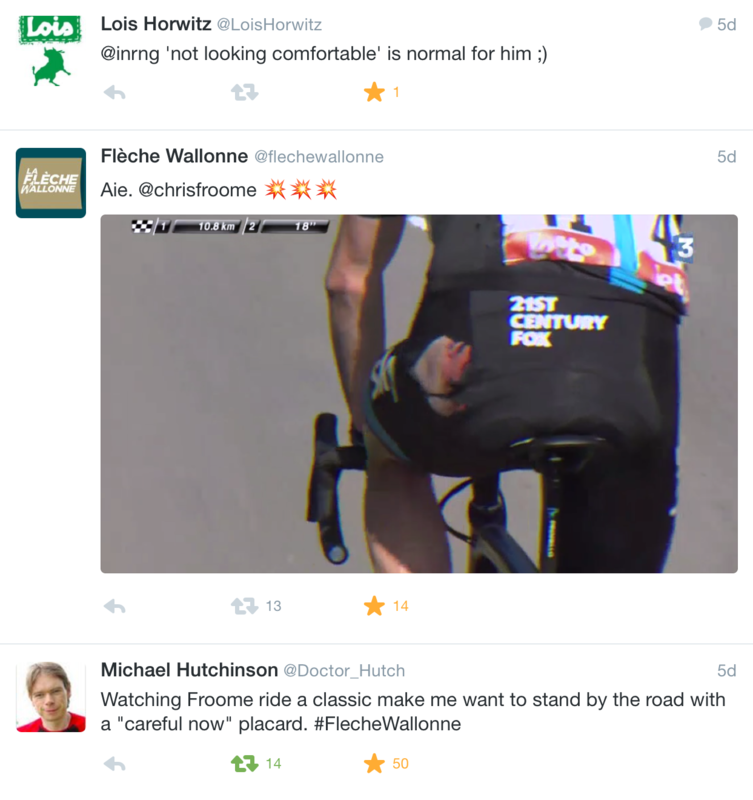 Froome decided to ride Fleche in anticipation of the Tour de France’s stage three this year. 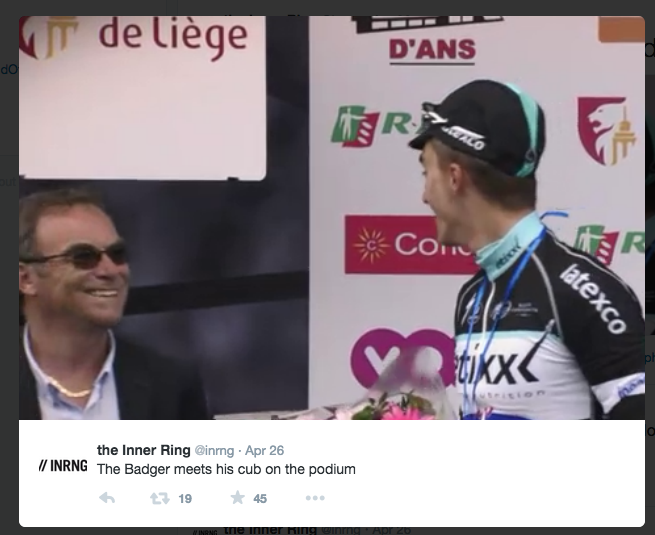 (Funny, he didn’t ride Roubaix for stage four – I wonder why?) Not sure what he learned from his tarmac tussle, but we learned that he does have a sense of humour. Trudgin is right. 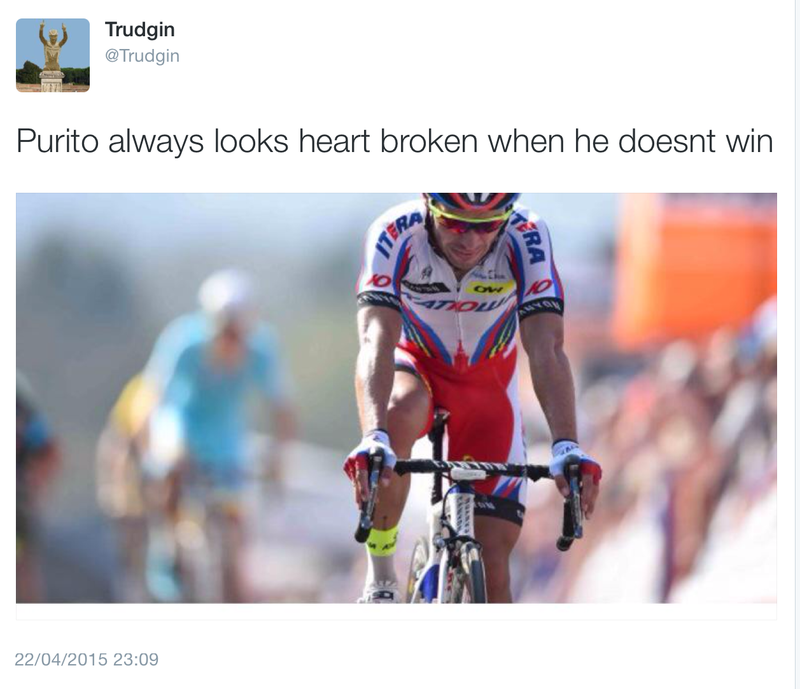 Purito always does look heartbroken when he doesn’t win. 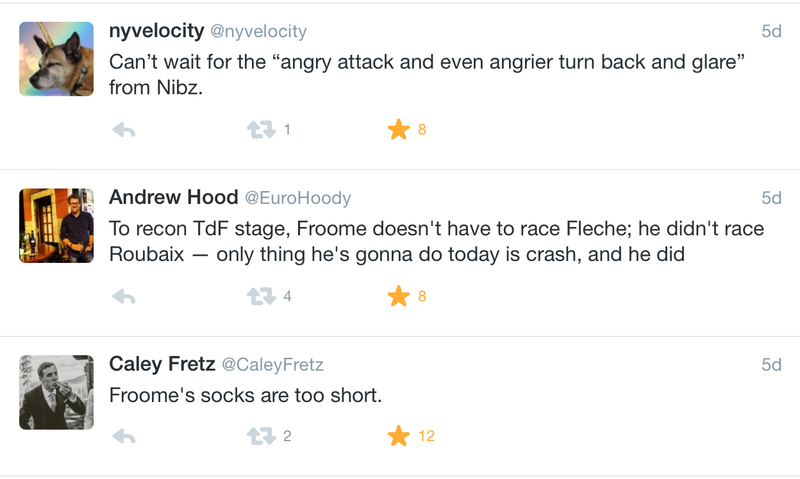 The ‘nothing much happening’ nature of the race brought out the wit in the Tweeters. The lack of tractors seems to be a recurring lament these days. But there was one bright spark in an otherwise rather dull race. 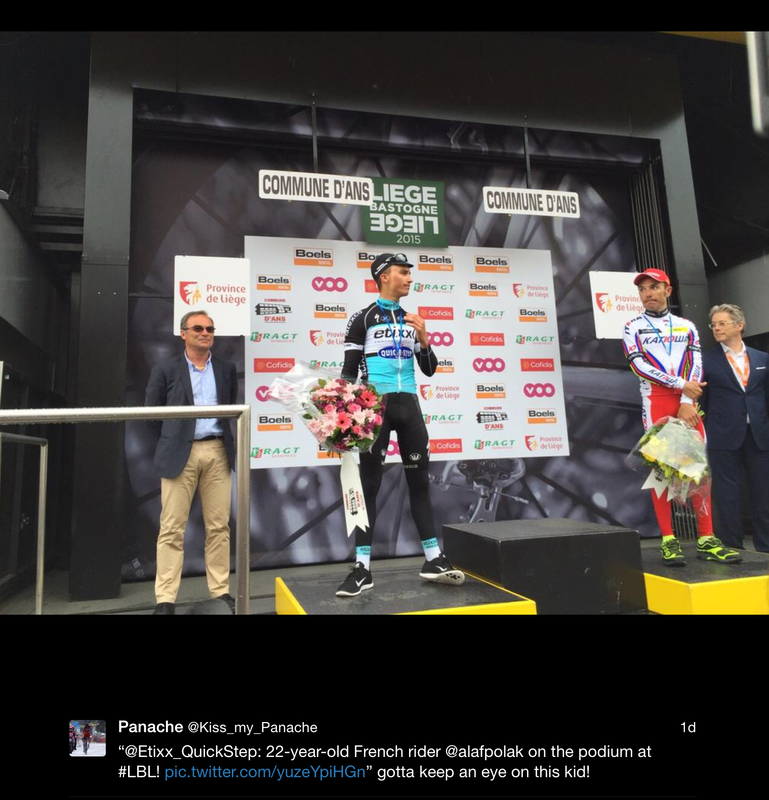 And that was Etixx’s new French star, Julian Alaphilippe, who sprinted to second in the race. But this was not a fluke. A goal without hard work is just a pipe dream – JA had a goal. 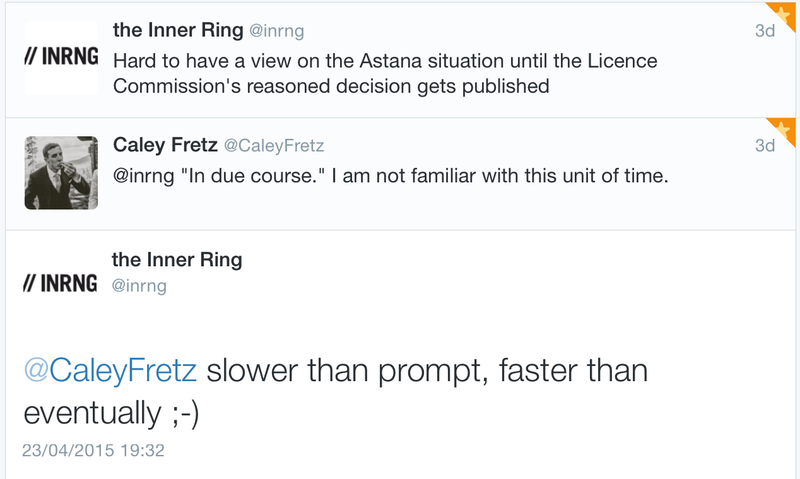 Between Fleche and Liege, the Licence Commission ruled that Astana was to keep its racing licence. 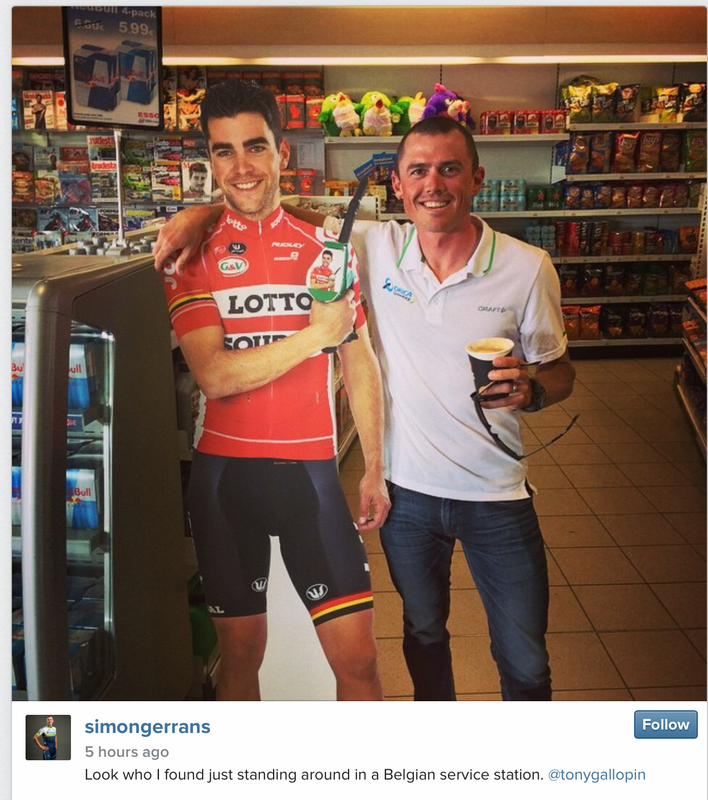 Which left the UCI with egg on their face. 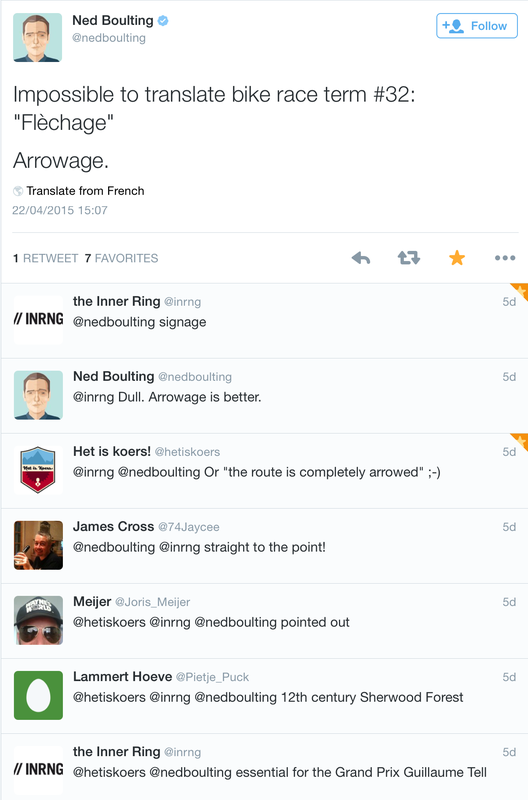 Liege pretty much was a rerun of Fleche but with a different course. 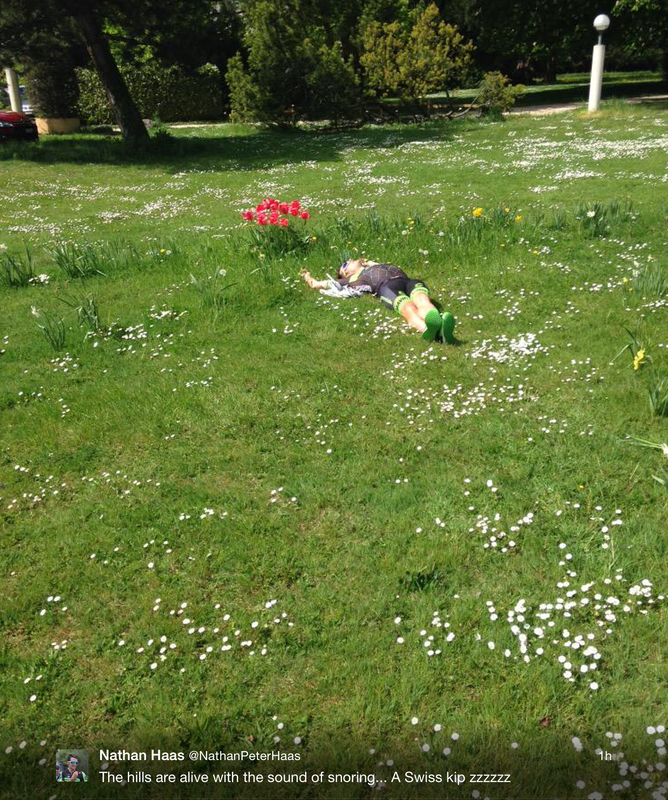 But the ennui was the same throughout, not to mention a big crash. There were some nice pictures coming out of it though. 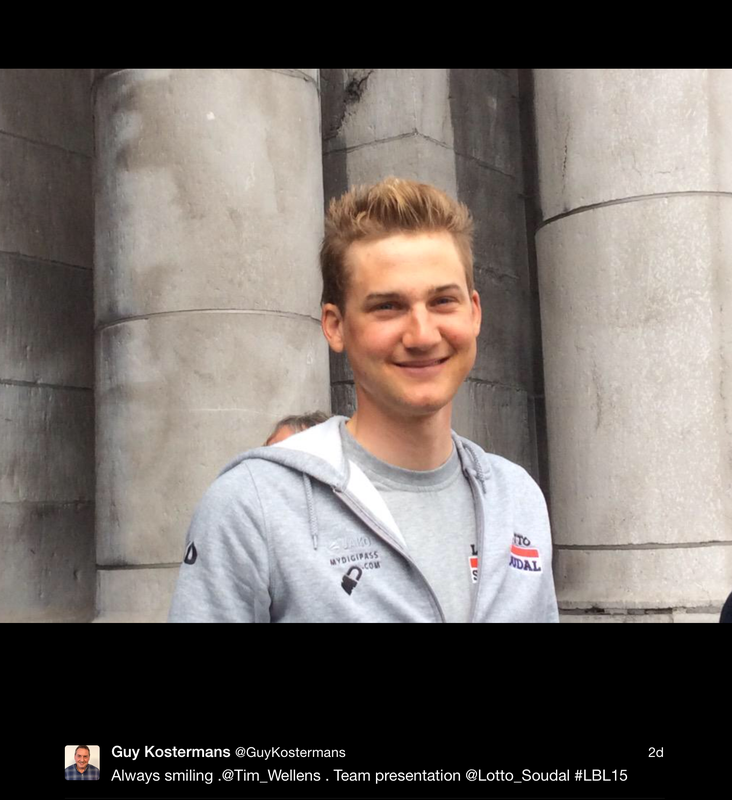 This one of Tim Wellens, who had animated Fleche on the penultimate climb. 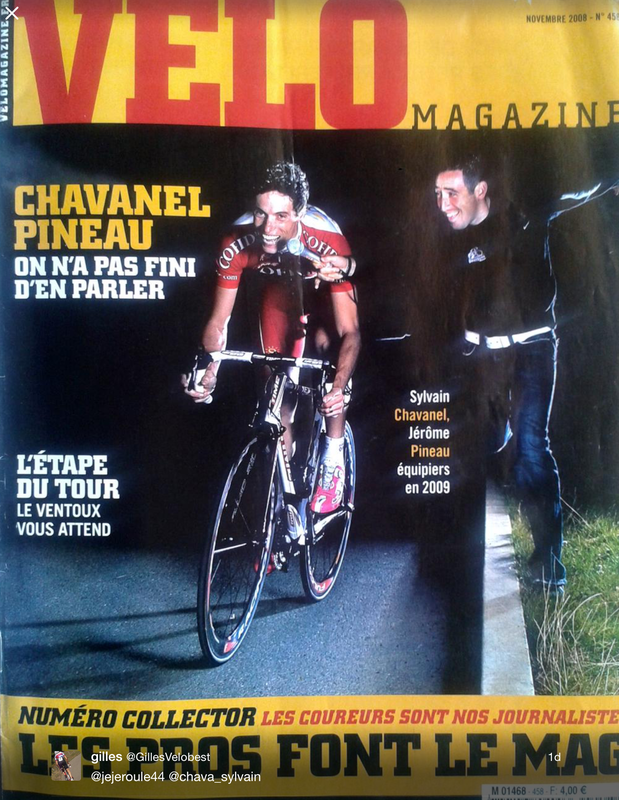 Unfortunately, he didn’t do the same at Liege. 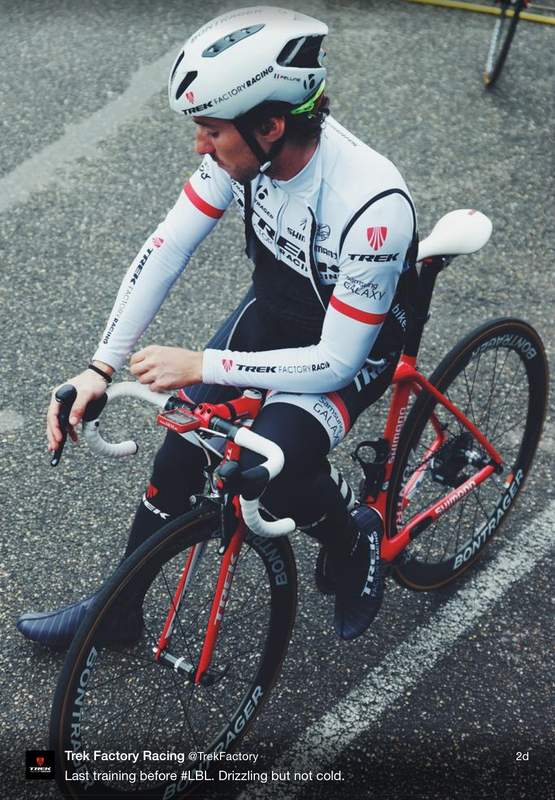 I’m really loving that Trek kit now. 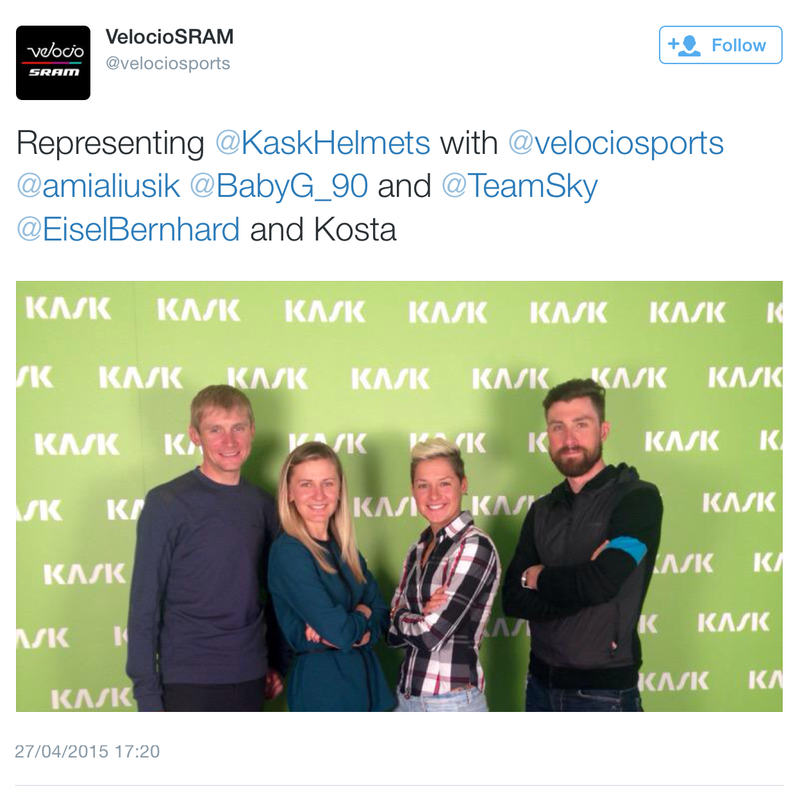 At least you can tell who they are in the peloton. 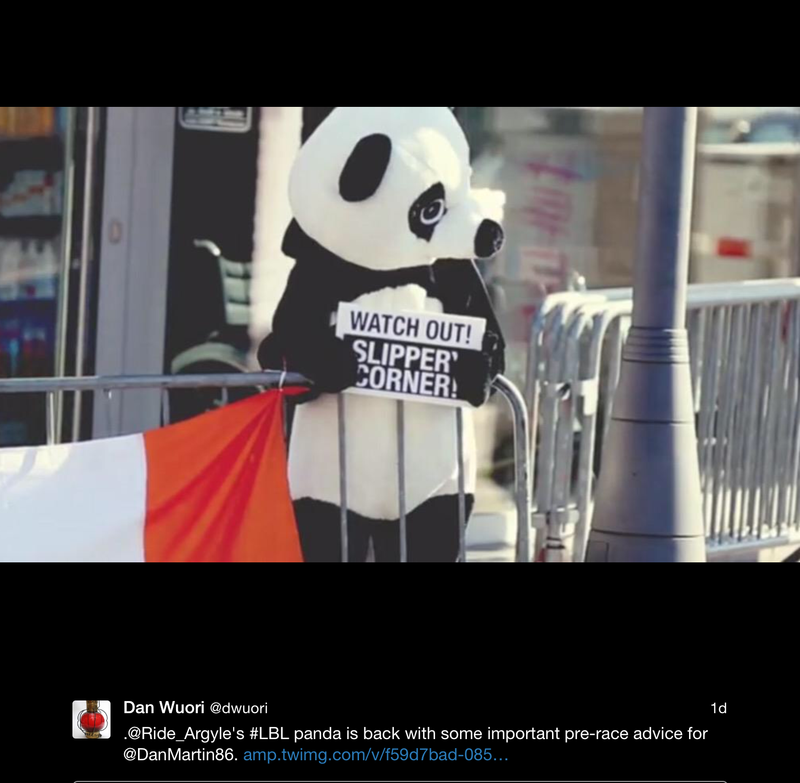 Of course, Panda Power was in full force. 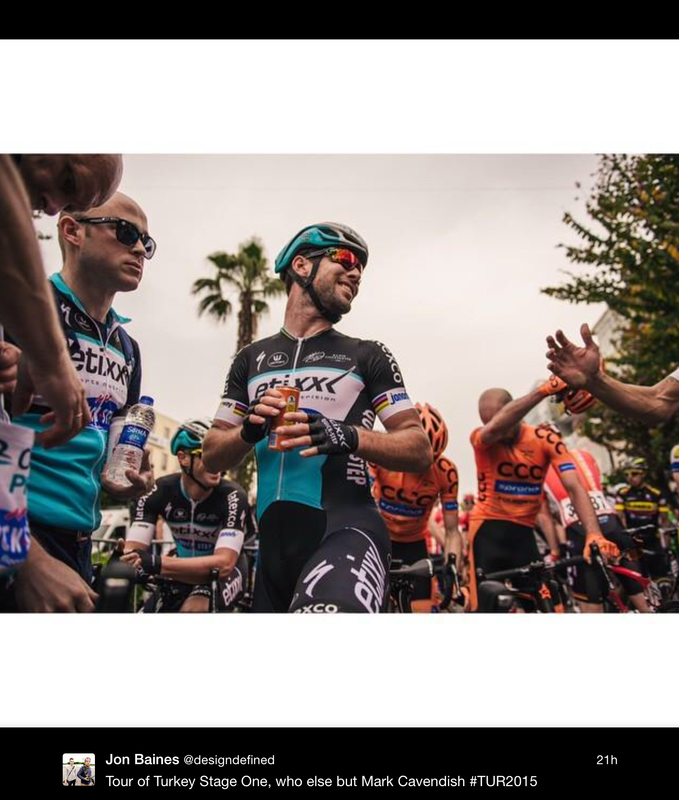 Unfortunately, he was not to see Dan Martin on the final corner as he crashed out at about 40km from the finish. 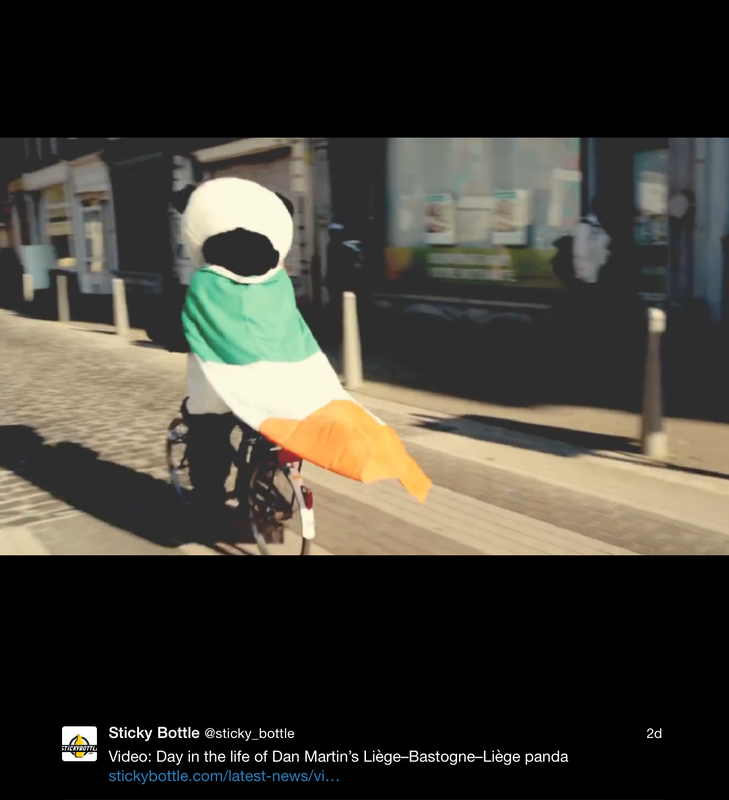 Poor lonely panda. 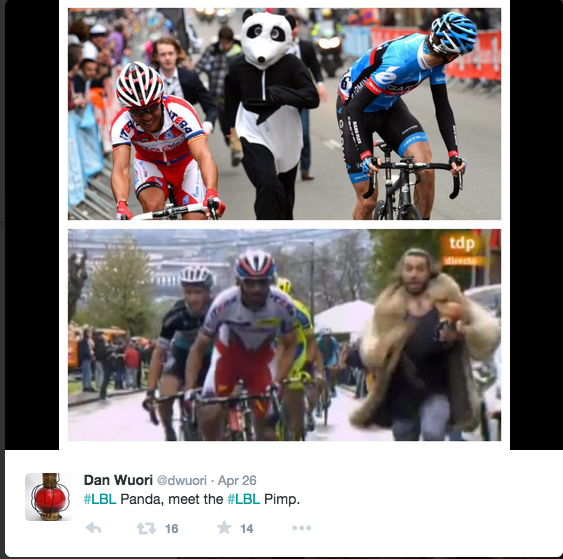 Poor Panda – this year he was replaced by a pimp. 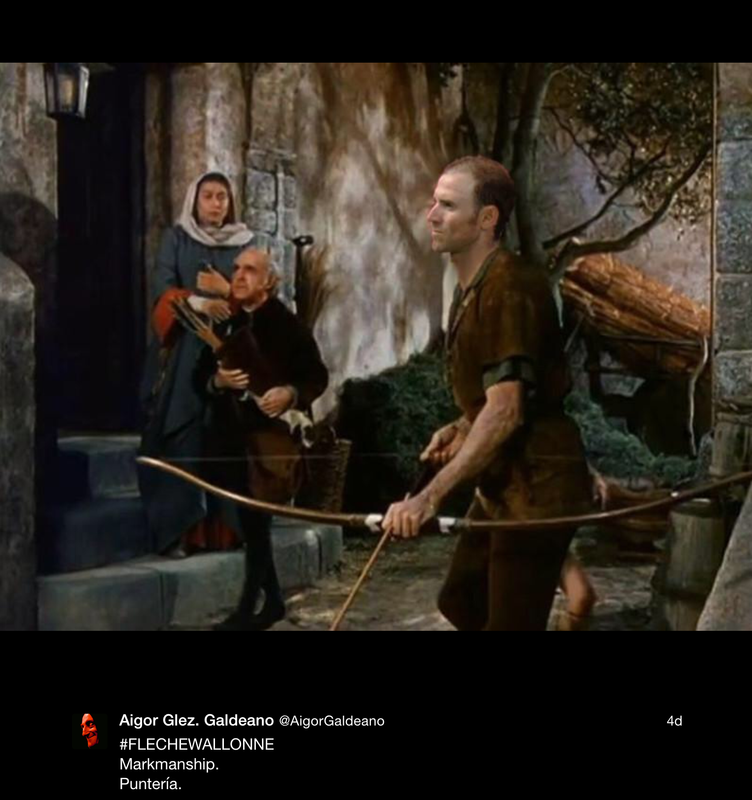 That crash, however, did bring out another funny tweet from Chris Froome. The tweet that is ‘unavailable’ was from Eurosport who listed the riders who went down in that crash – and listed Froome. Who, as we can see, was on his sofa. 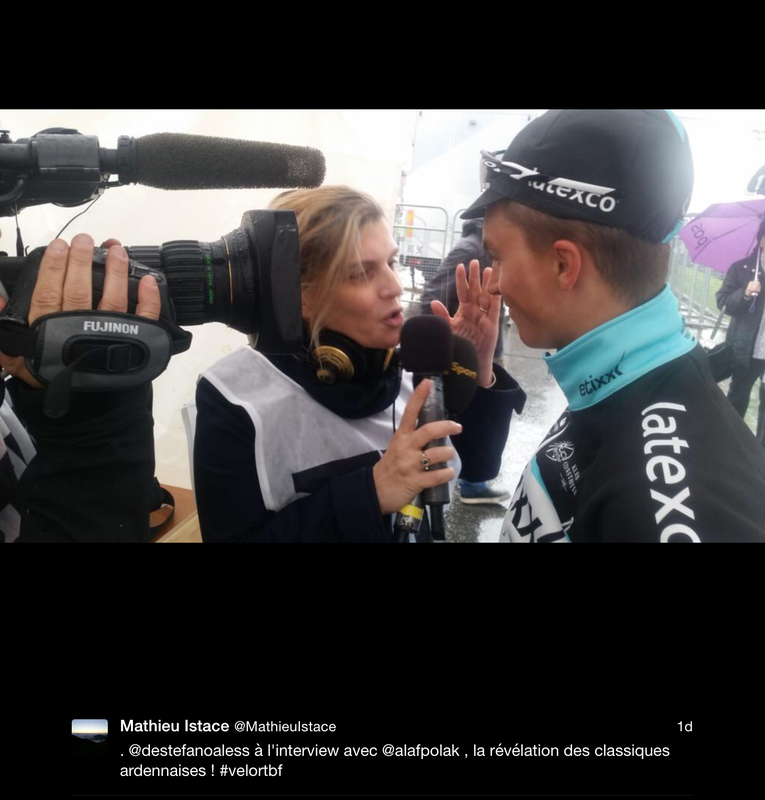 InnerRing’s verdict on Betancur. 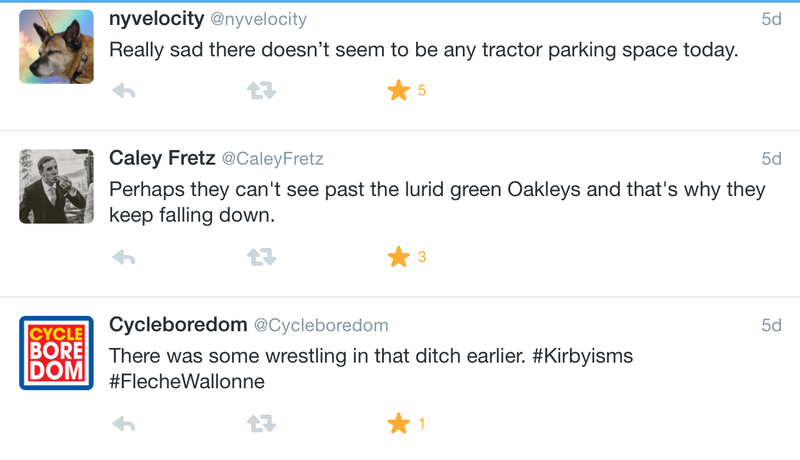 I’m unsure as to what NYVelocity was talking about but I thought it was funny anyway. 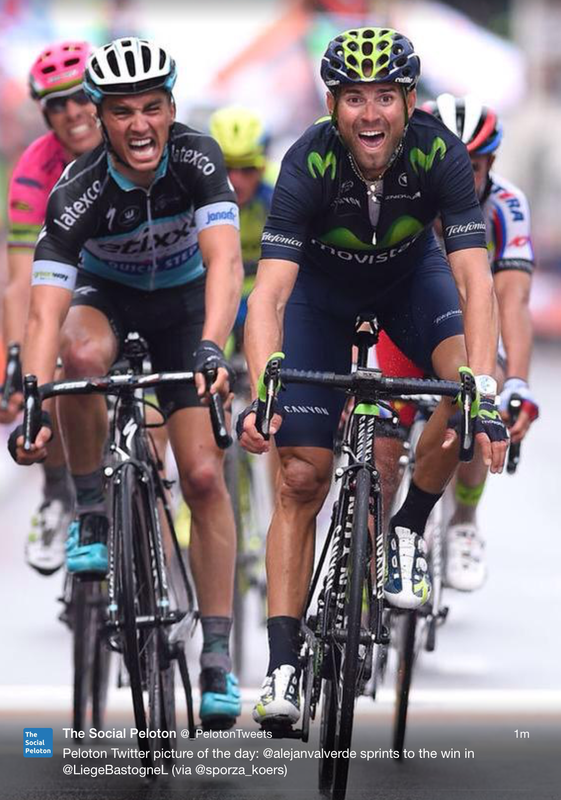 The expressions on Valverde and Alaphilippe‘s faces are really rather priceless. 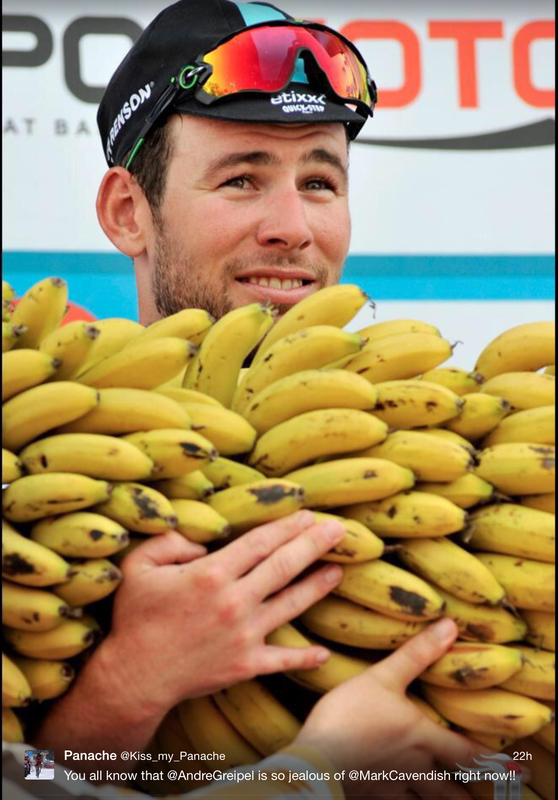 Honestly, I think you could lock Jered Gruber in a closet when a race was on and he’d still come away with a fantastic picture. I had to put this in because that little boy (I’m assuming he’s Valverde’s son) is possibly the cutest thing I’ve ever seen. 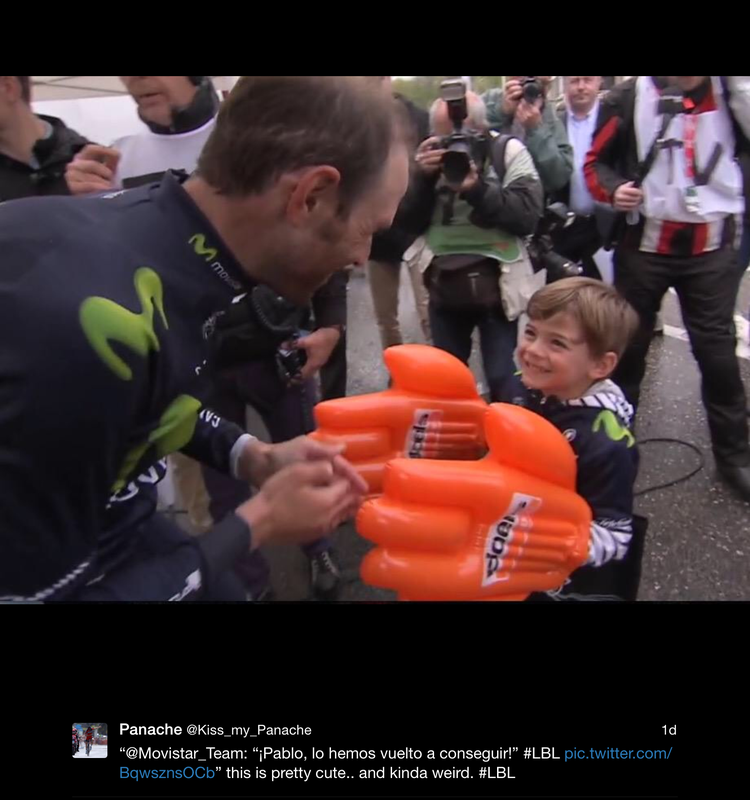 Unsure as to the bright orange lobster claws – what sponsor was giving those out, I wonder? 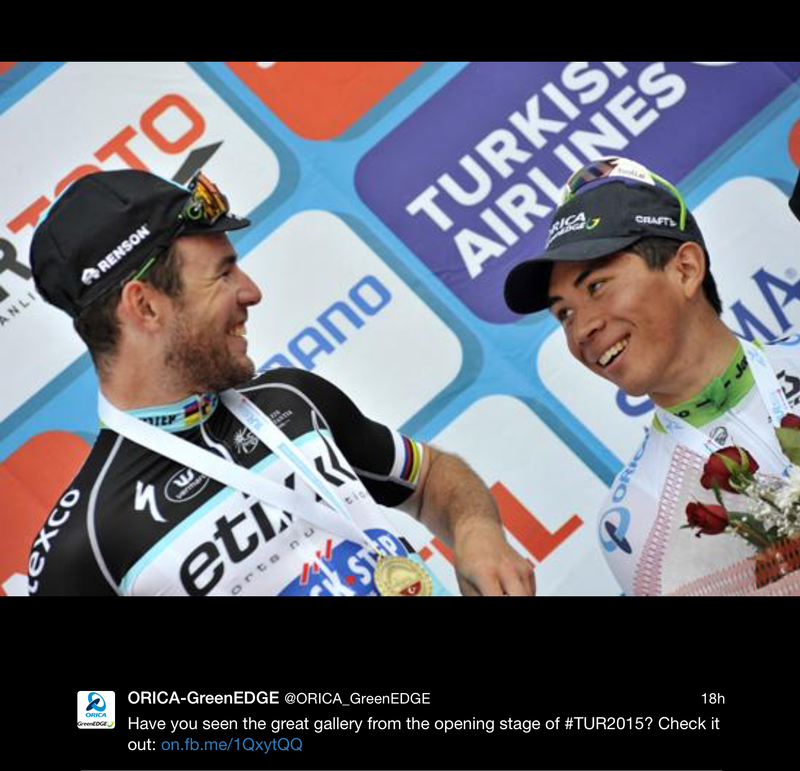 Cav has been storming it in Turkey. And there have been some great pictures, which I will show you now. 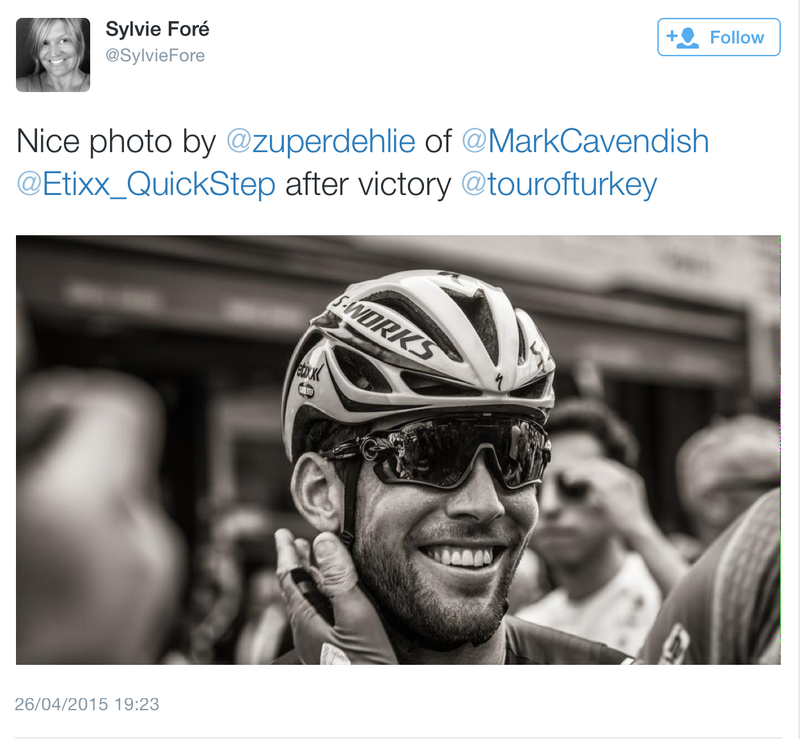 And the lovely Jon Baines is out in Turkey following the race with his camera. Hoping more of these pop up in the twitterstream this week. 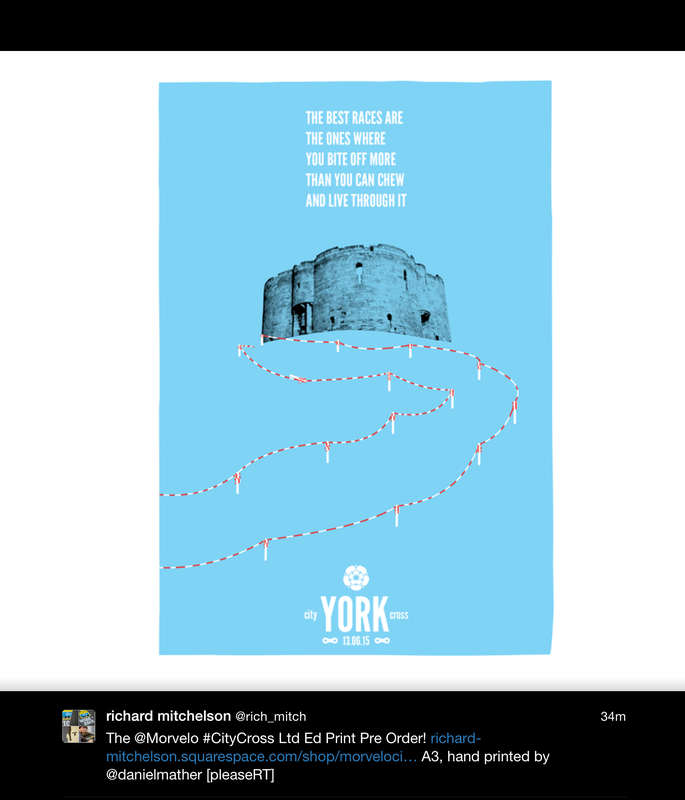 York is going to be the place to be for cycling this summer. I love this poster. 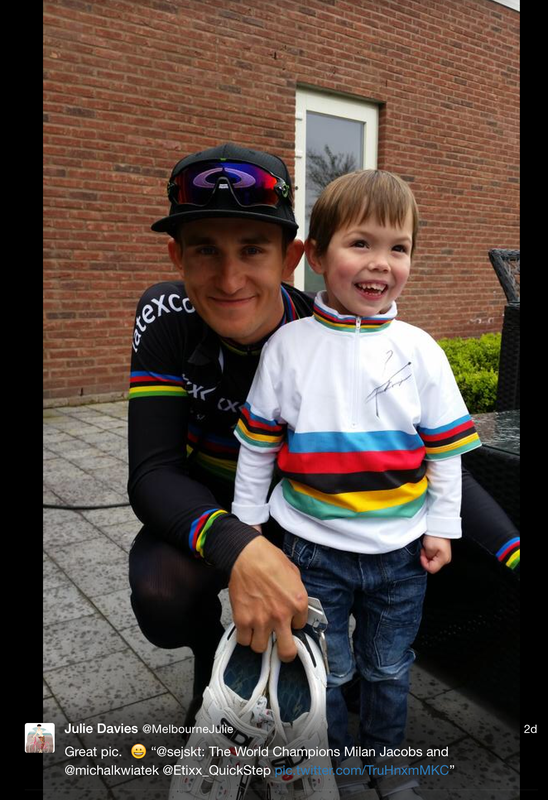 Another year and this kid’ll be bigger than #KwiatKrush. 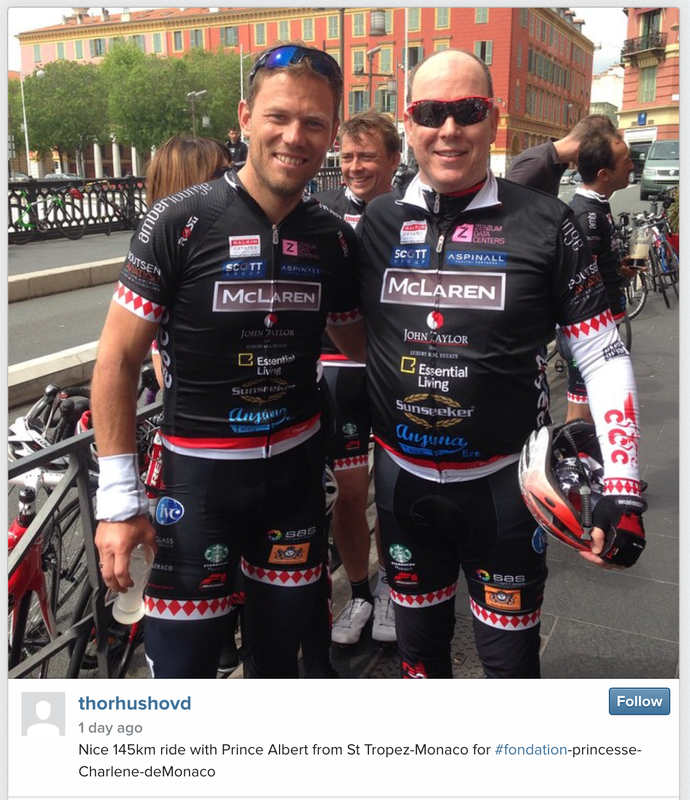 Thor and the Prince of Monaco. No, seriously. Boy, Sagan‘s hair is getting really fluffy and full of body, don’t you think? 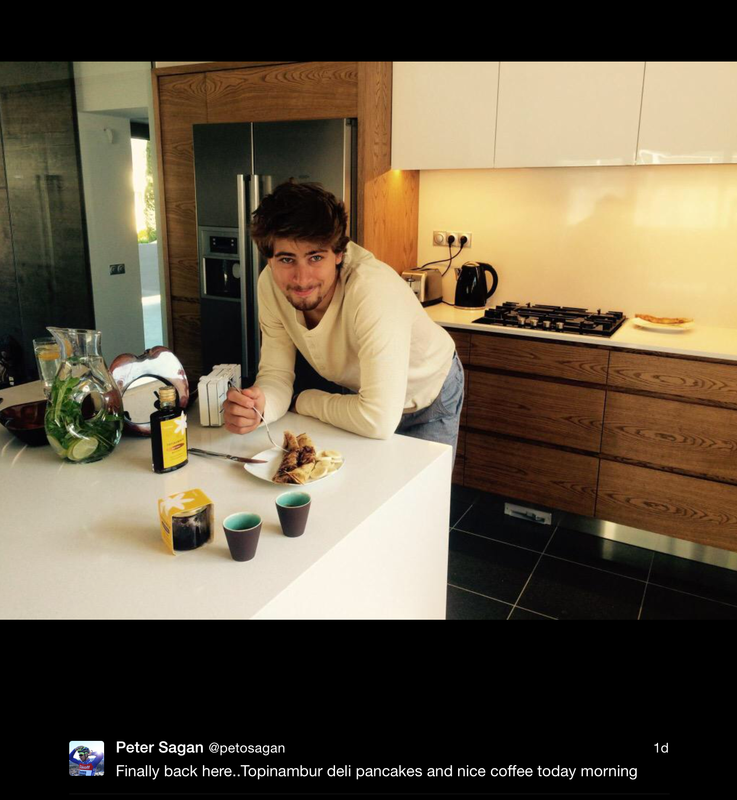 And he has a pretty snazzy kitchen too. When marketing speak goes Fabianese. 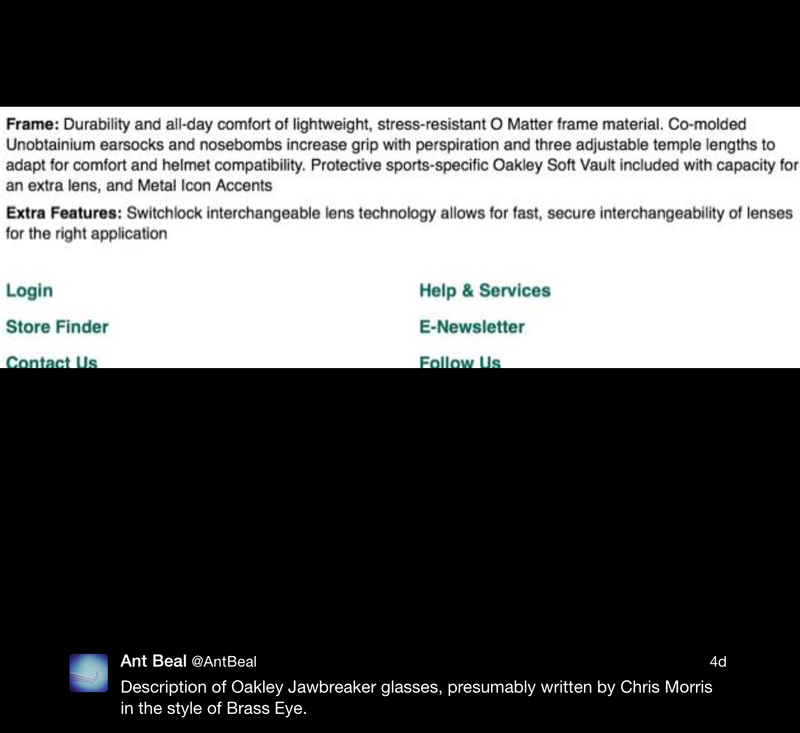 ‘Unobtainium earsocks and nosebombs’ is a sentence I really don’t want to get involved with. We had some creepy pics in last week’s Tweets but this one is giving them a run for their money. 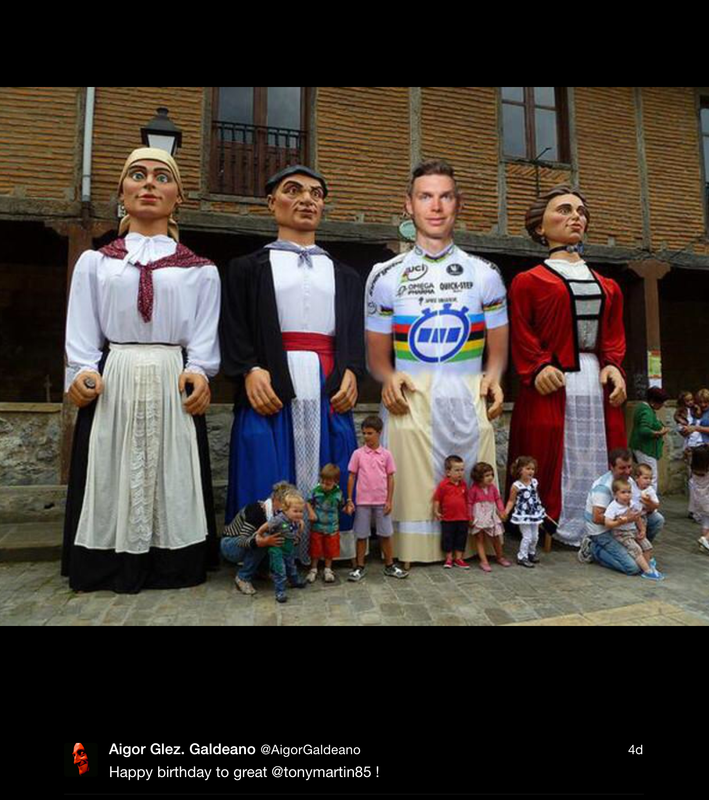 A giant Tony Martin in a skirt. 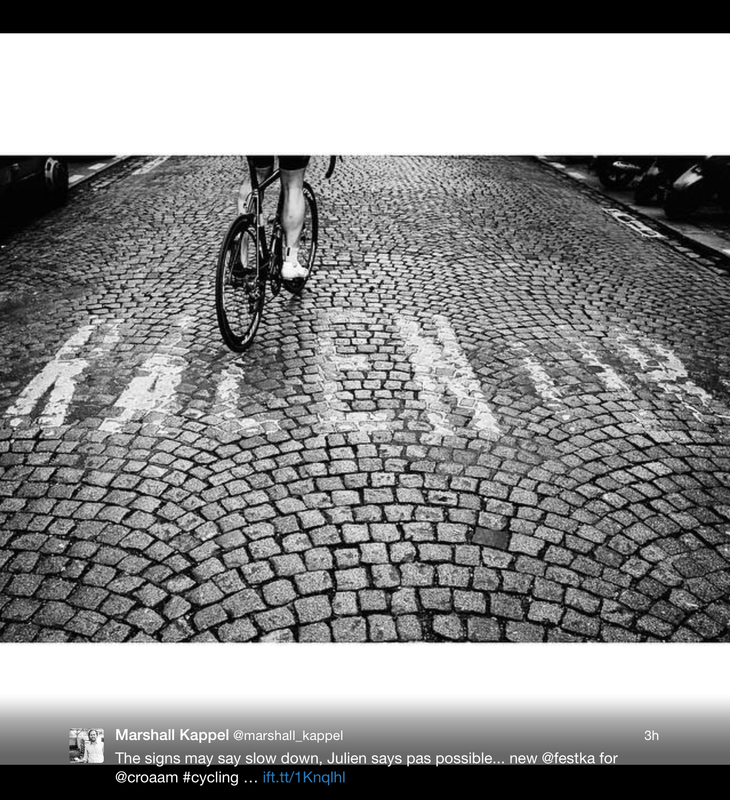 Love this picture from Marshall Kappel. 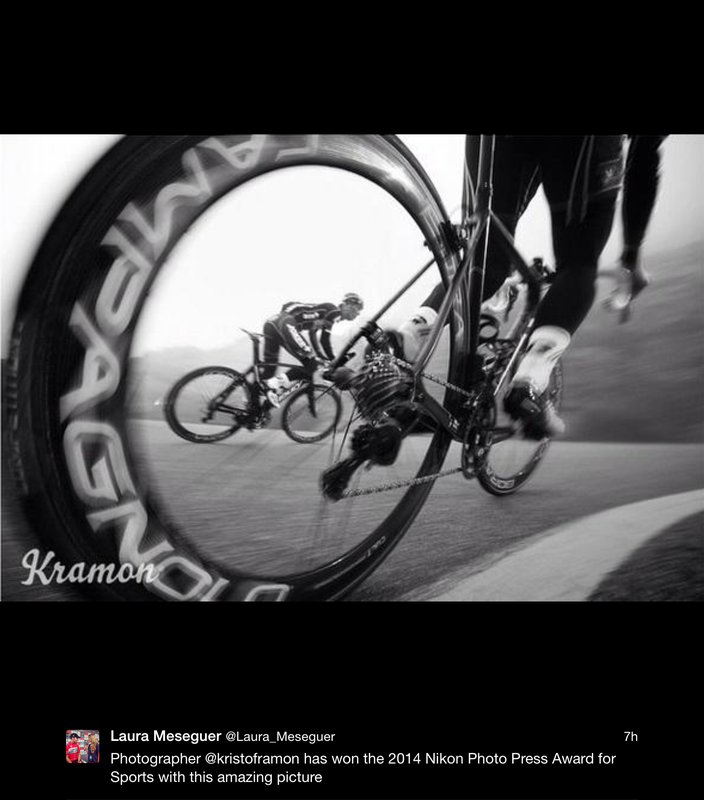 And this one from Kristof Ramon – absolutely fantastic. 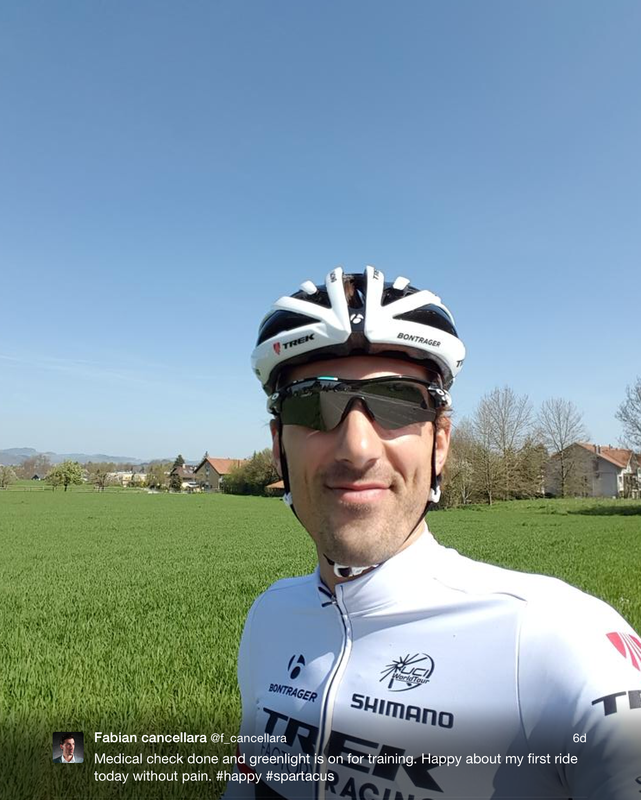 Sunbathing in your cycling kit – kind of like that film where the Schleck brothers went fishing in their kit (including cycling shoes). 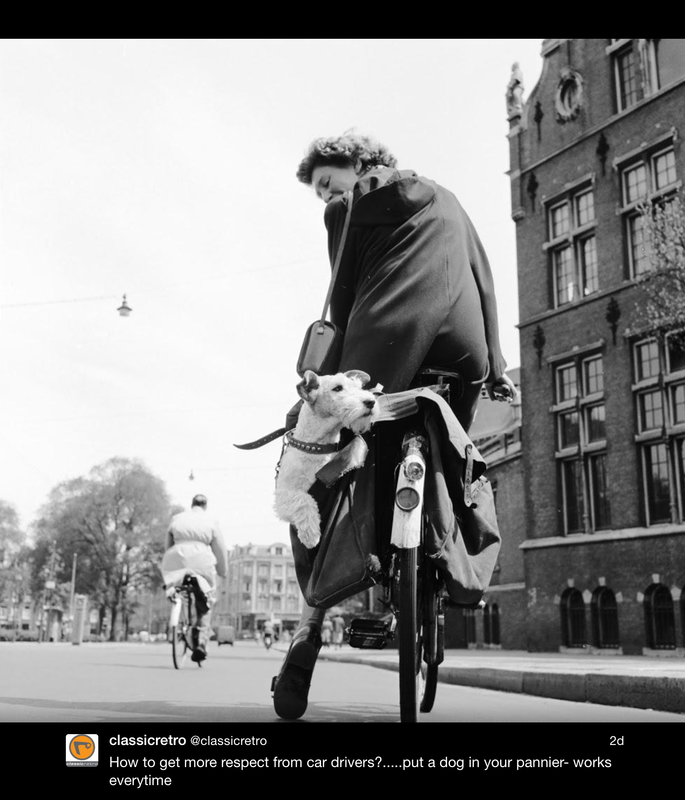 A pooch in your pannier. Personally, I’ve found there are a lot of people who like animals way more than they like people so maybe this isn’t such a crazy idea after all. 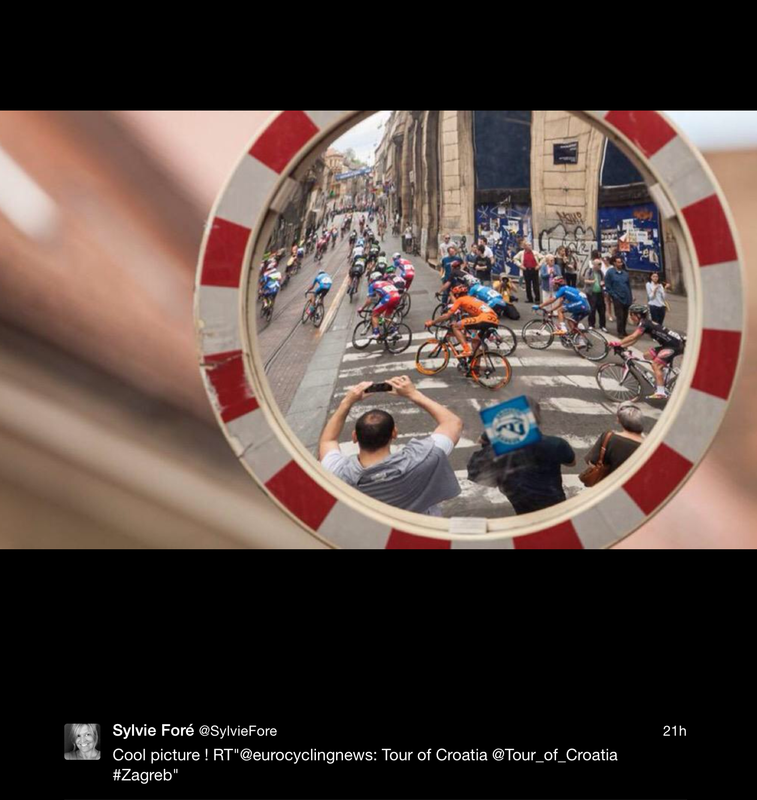 Another fabulous picture – this one from Tour of Croatia. And the Ladies’ Favourite™, but still with the beard!